Blow up everything that stands in your way, edit and enhance your photos, and increase the power of your ride with today’s collection of apps and games. Bike Gear Calculator – Bike Gears, Cycling Gear Calculator, Bicycle Gear Calculator ($1.99 → Free, 18.8 MB): Improve your ride with this handy sports app. It’s ideal for everyone from commuters to BMX riders. It helps bike mechanics, commuters, road cyclists, mountain bikers, cyclocross riders, and BMX riders get into the right gear. You’re able to customize the calculator with your own cadence, tire size, and crank length to determine gear ratio, gain ratio, speed, pedal rotations, and more. You can also create tables to view essential information at a glance, and share all of the information with other cyclists. Bike Gear Calculator – Bike Gears, Cycling Gear Calculator, Bicycle Gear Calculator is available for free for a limited time. It has a 4.5-star rating with a total of 23 ratings. Righteous Kill 2: Revenge of the Poet Killer (Full) ($4.99 → Free, 202.2 MB): Hunt down a dangerous killer in Righteous Kill 2. It’s for fans of hidden object adventure games. There have been a rash of murders across New York City, each connected by a tantalizing note left behind. Play as a tenacious NYPD investigator and search crime scenes in order to capture the vicious “Poet Killer” before it’s too late. You’re able to search through 37 scenes, and take on 16 mini-games. Don’t just tap the screen wildly to discover objects, either. You will be penalized for poor work. Righteous Kill 2: Revenge of the Poet Killer (Full) is available for free for a limited time. It has a 3-star rating with a total of 5 ratings. 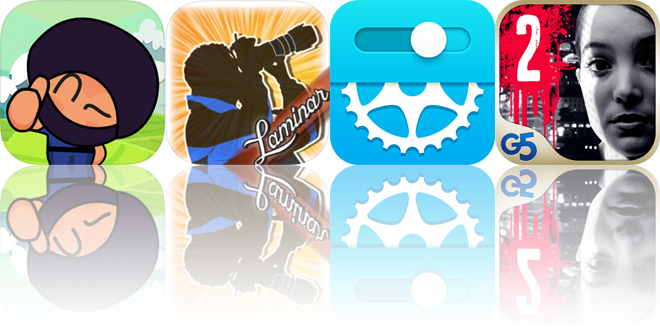 Laminar Pro – Image Editor ($4.99 → Free, 92.8 MB): A complete photo editing suite for any and all of your iDevices. 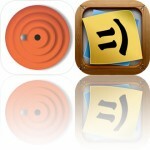 It’s for iPhoneographers who want to perform all of their edits on their iDevices. Laminar Pro helps you cut out your computer entirely when it comes to editing photos thanks to its exhaustive support for layers and masks. It truly allows you to do anything with your photos, whether that’s adjust their components, apply filters, add borders, paint over them, or even annotate them. Each layer can be manager separately as well. Your final creations can be shared via all of your favorite social networks or saved locally. 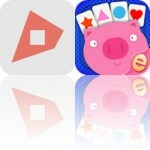 Laminar Pro – Image Editor is available for free for a limited time. It has a 4-star rating with a total of 297 ratings. Ninja Boy Adventures – Bomberman edition ($1.99 → Free, 96.7 MB): Blow up everything that stands in your way in Ninja Boy Adventures. Fans of Bomberman are going to love this one. Ninja Boy Adventures brings classic Bomberman-style gameplay to iOS. Make your way through 30 challenging levels dropping bombs to break down barriers and destroy your enemies. Power-ups are hidden behind some of the barriers, which will enhance your abilities as long as you stay alive. You’re also able to team up with up to four players at the same time for an entertaining collaborative experience, or you can battle it out online or offline. Ninja Boy Adventures – Bomberman edition is available for free for a limited time. It has a 5-star rating with a total of 6 ratings. Righteous Kill 2: Revenge of the Poet Killer HD (Full) ($6.99 → Free, 314.2 MB): Hunt down a dangerous killer in Righteous Kill 2. It’s for fans of hidden object adventure games. Righteous Kill 2: Revenge of the Poet Killer HD (Full) is available for free for a limited time. It has a 4.5-star rating with a total of 15 ratings.